Competing in obedience international class, national obedience 1st class, agility 3rd class. Herding sometimes per year if it is possible. Roxy paticipated in Obedience WCH 2012 (Salzburg) , WCH 2013 (Budapest) and WCH 2014 (Helsinki). Accordingly she was placed 56th, 35th and 41st. 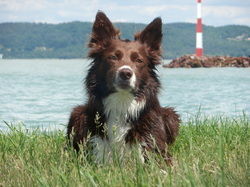 Also she participated in agility WCH 2012 in Liberec. 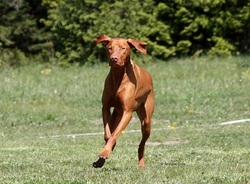 She has gained Estonian Obedience CH title, Finnish Obedience CH title and Swedish Obedience CH title. Estonian trial database of the results. Competing in obedience international class, national obedience 3rd class, agility 3. class.